I have to admit, I was not much of a hummus fan. I think it was more of the look of it than anything else. 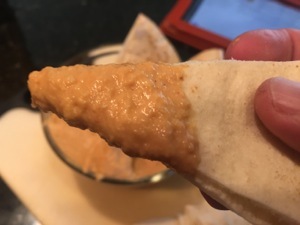 Let’s all be honest, hummus is not the most beautiful dishes, but when made correctly can have a deep flavor that is a perfect complement to vegetables or pita slices. 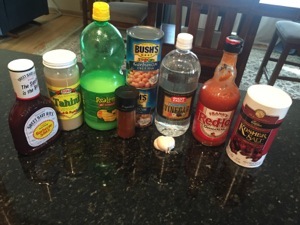 This version adds some Buffalo hot wing sauce. Doesn’t that look a lot like peanut butter? 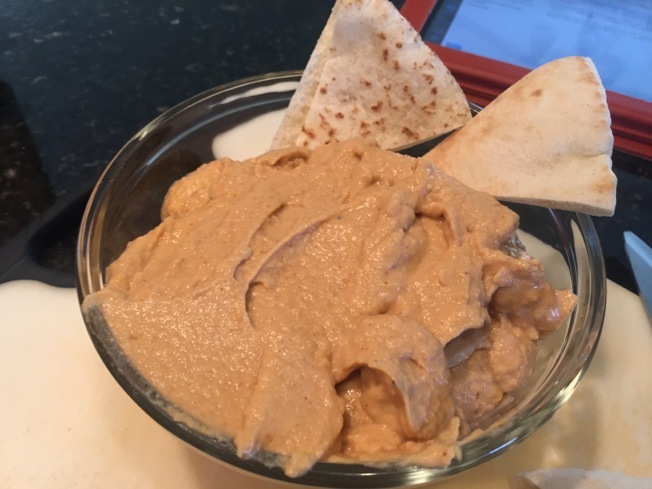 They keys to hummus are chickpeas and tahini. 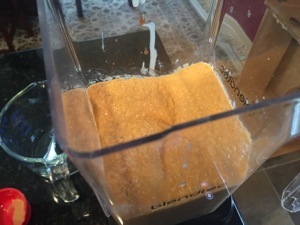 Throw the ingredients in a blender. Run into it is smooth. Delicious with a little kick! 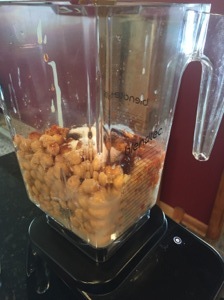 Put the chickpeas, chickpea liquid, garlic, tahini, lemon juice, paprika, barbecue sauce, hot sauce, vinegar and 1 1/2 teaspoons salt in a food processor. Puree until smooth and creamy.